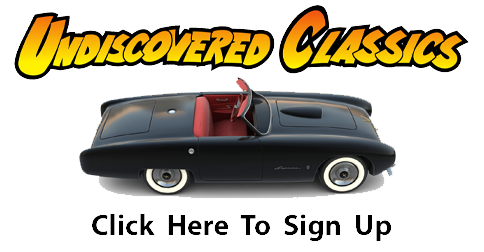 Ever since I first met them in 2006 and then learned about the car they were finishing at the time – the famous 1953 Guy Mabee Victress Special – I have been impressed with the cars they have and the enjoyment they get from the hobby they love. And best of all….I have the honor of calling them great friends – friends to both Rick D’Louhy and Me. 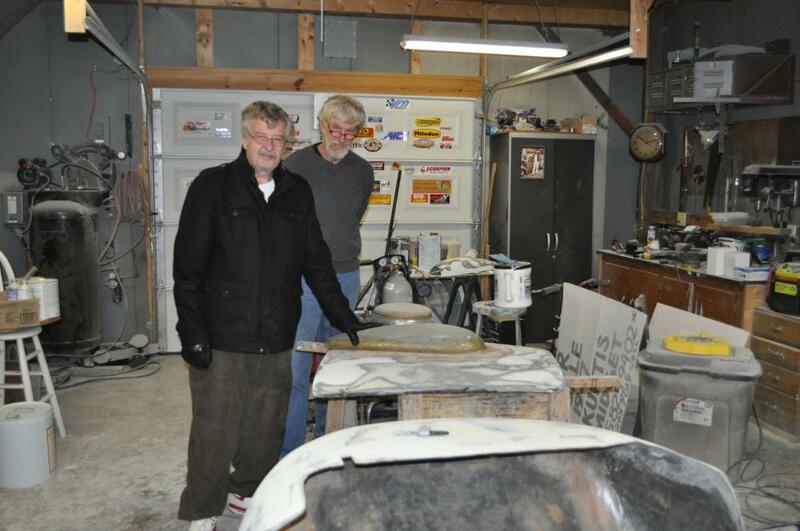 In December last year, Rick and I were on a secret cross-country trip to visit mystery and wonderful fiberglass, aluminum, and lost concept cars across the country when I surprised Jim and Lea Ann Robinson with a phone call. Always the hospitable hosts, they welcome us and allowed us to stay the night. And what a treat we had when we woke up in the morning. I am trying to find some history on this Devin bodied car. It appears to have been built in the latter “50’s. The dash does not have the usual instrument and dash pods on it but does appear to have had them at one time and subsequently removed for whatever reason. The power came from a Saab 750 cc. 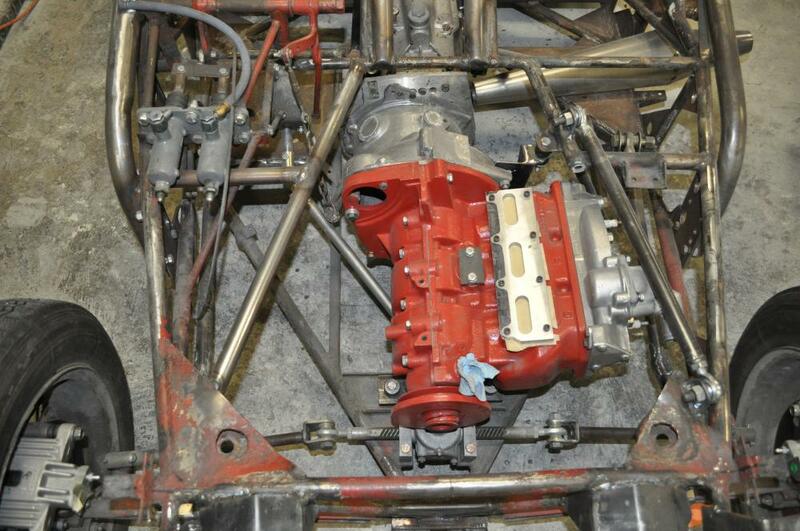 Monte Carlo engine coupled to a MGTC transmission and rear end. I cannot tell if it had ever had another make of engine. The car is right hand drive and does not show any evidence of ever having been left hand drive. 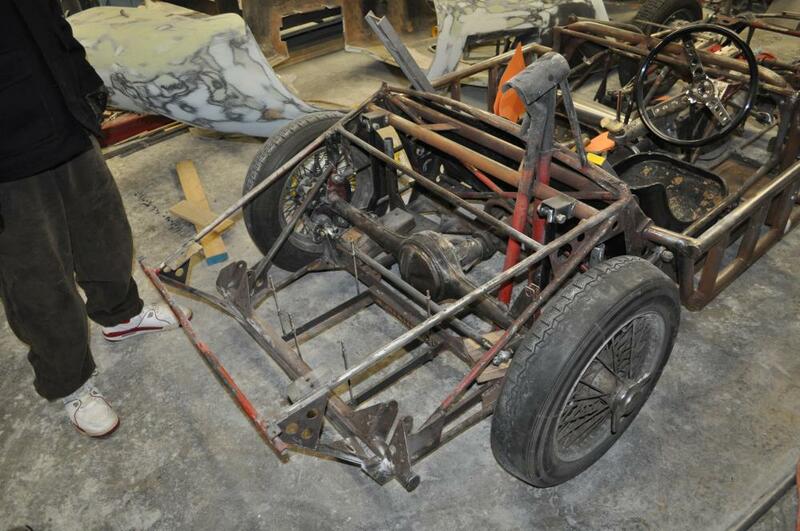 There is an old style roll bar…a vertical post width a curved metal piece on top. Brakes, well, there are two Crosley disc brakes per wheel! This could also be a very defining component. 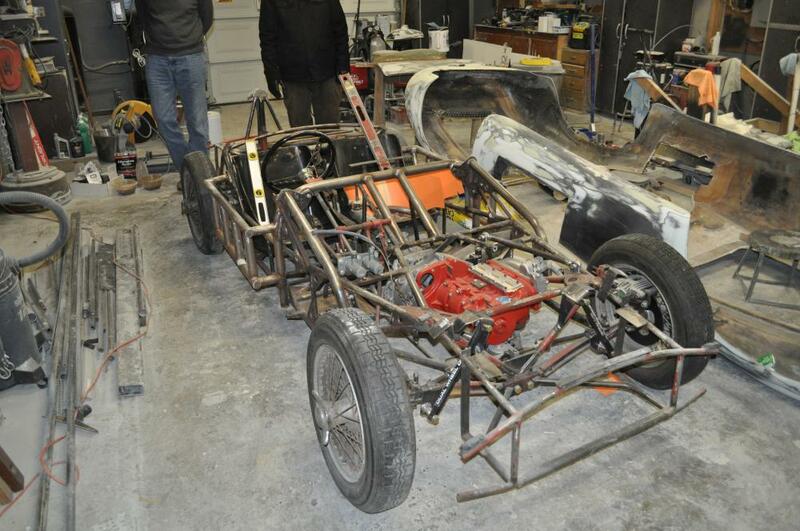 Thin wall 3/4” tubing was used to make a space frame with a low center of gravity split I-beam front suspension setup. The rack and pinion is probably from an aircraft or some type of implement. Whoever built this car was an excellent oxy-acetelene welder; and perhaps, from the aircraft industry in California in the day. Here is what we know of any ownership history. The car came with a California license plate and a copy of the registration from 1967. It was registered to a David Weston of Los Angeles. I was told he passed away and the car was sold to David Hoag of Seattle, Washington whose wife was David Weston’s niece. It was then sold to a Bob Scott. I have tried to contact these people but with no success. That is about all the paper trail there is. This Devin/Saab is truly a quintessential example of a late 50’s Hmod. 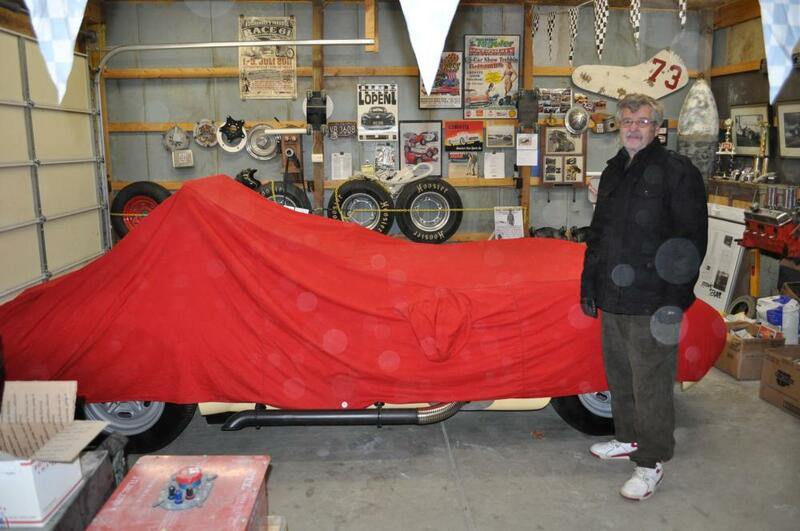 Someone suggested the car could have been sold to David Weston (who gave it a serial number and plated it) by Ollie Schmidt of the Chicago area who raced it throughout the country. There are some body modifications that could suggest this. Let me know if any of you can offer any answers. My email is lrobinsn@gmail.com. Thanks Geoff for your help and ForgottenFiberglass. All of your work along with Rick’s is surely appreciated. 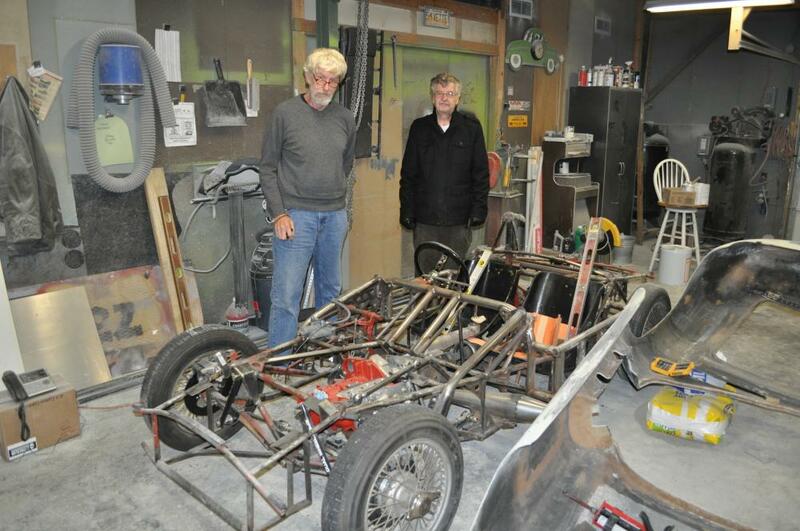 We Spotted This Mystery Car at the Back of Jim and Lea Ann’s Garage – What Might This Mystery Car Be??? In the hours we spent with them the next day I was reminded about their interest in restorations, vintage racing, and art too – Jim’s a great artist and it was fun to see some of the creative pieces he’s put together. 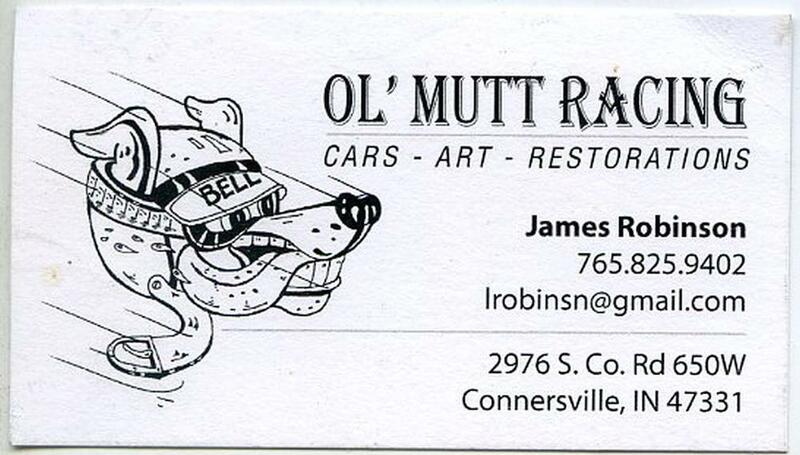 Those of you who might be able to help with Jim’s questions about his Devin-Saab above, can contact him at his e-mail address (provided earlier) or via the info on his business card below (illustrated by Jim too – fun!). 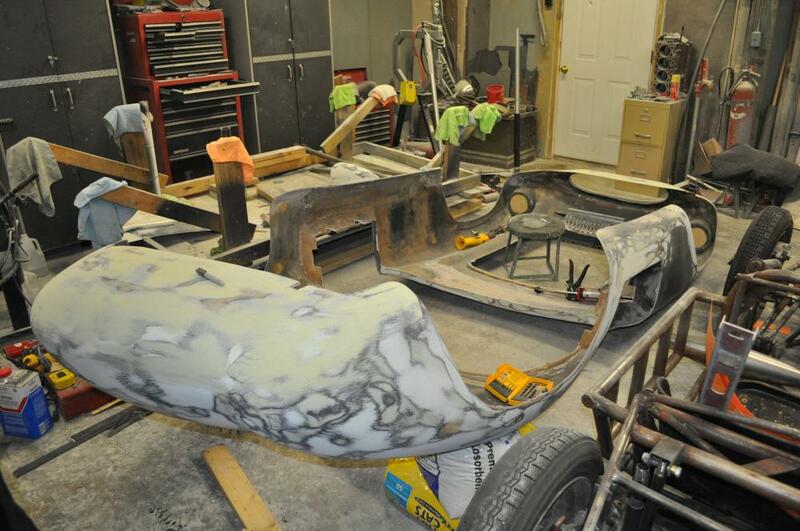 The adventure continues here at Forgotten Fiberglass. Here’s the website with the story of the “Baas Bomb”! The ‘mystery’ car has to be the Guy Mabee Drilling Co. Victress – eh? 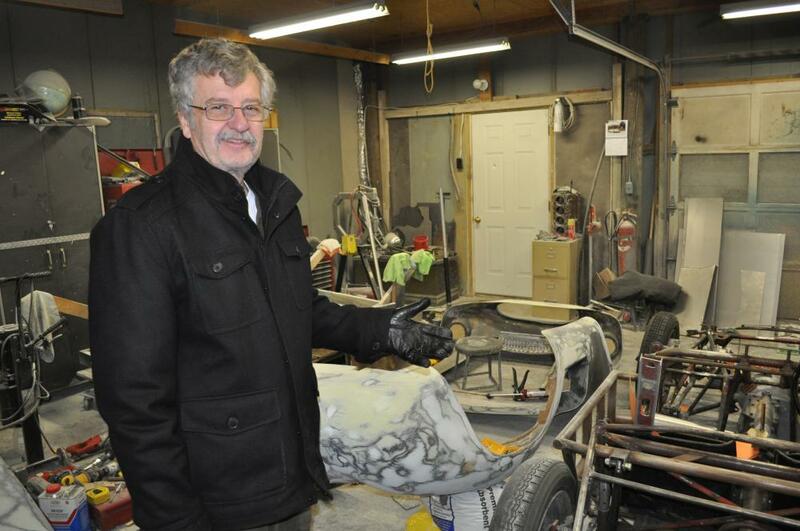 You can always judge a man by whats in his garage, great car , great man! 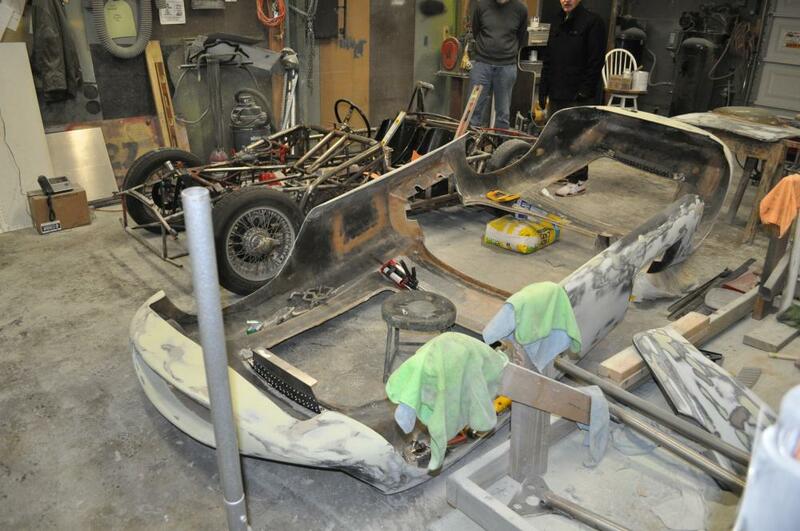 It’s nice to see most of our members actually build or at least get involved in the build of there cars. I love the smell of fiberglass in the morning! There is a Yahoo H-modified group that might be of interest. The construction of this car looks too heavy to compete very well in the H-mod and DR class days. There is more tubing in this than Ken Miles used in his 2 MG specials with 1500. I would thing it was built to be a sports car rather than a racer. 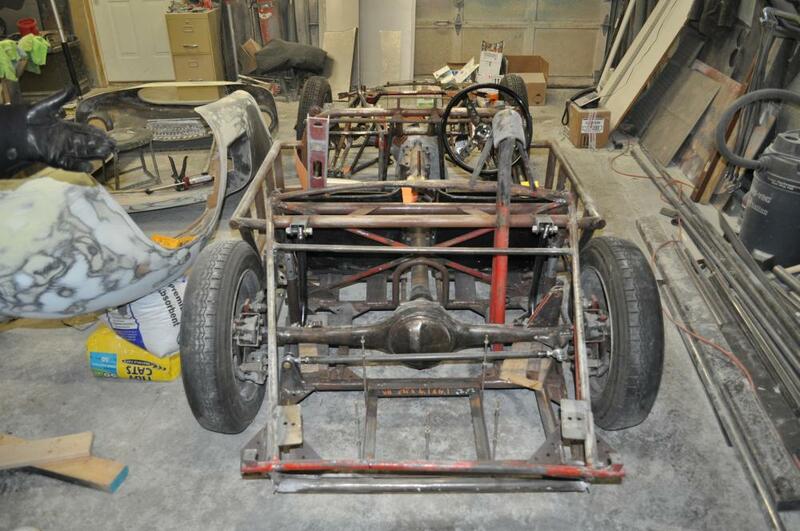 An old friend built 2 SAAB powered H-mod cars in the Devin body era. I would think it was built to have a T series MG engine. 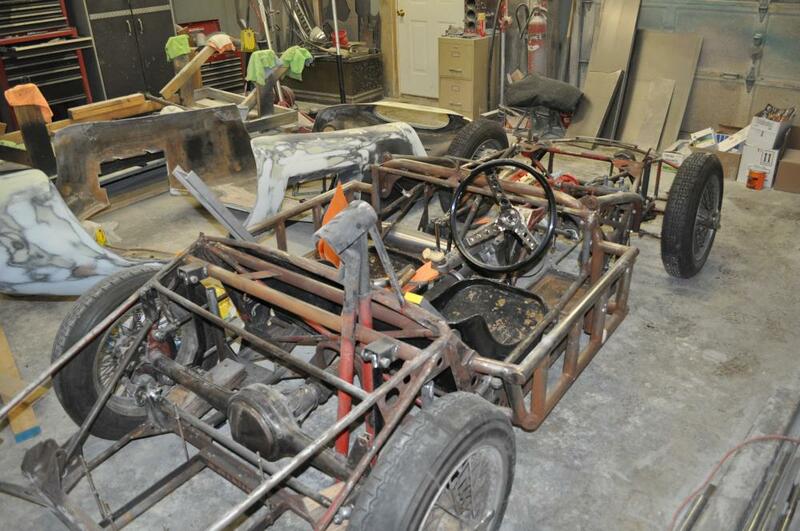 Most H-mod specials of that era is Fiat 500 chassis parts. They were light. By the end of the H-mod class and into the DR era SAAB engines were 850cc and the class size was raised 100 cc about 1956. If I had it I would put a 1950s Alfa engine in it making in into a poor boy Ferrari. 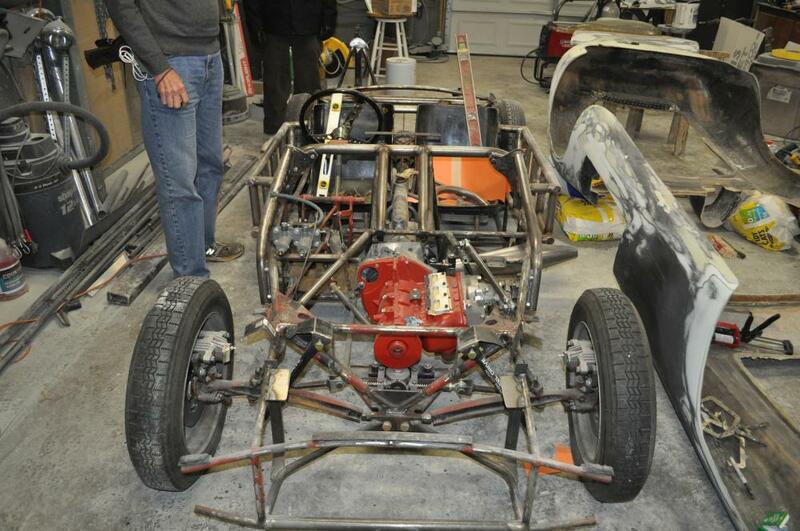 This is no SCCA racing records can be found. Is there indication that this car may have been Left Hand Drive? MG TC abd very early TD + Morris transmissions were oftem coupled to Crosley engines in H-mod cars. Later SAAB powered cars often had Sprite 4 speeds.